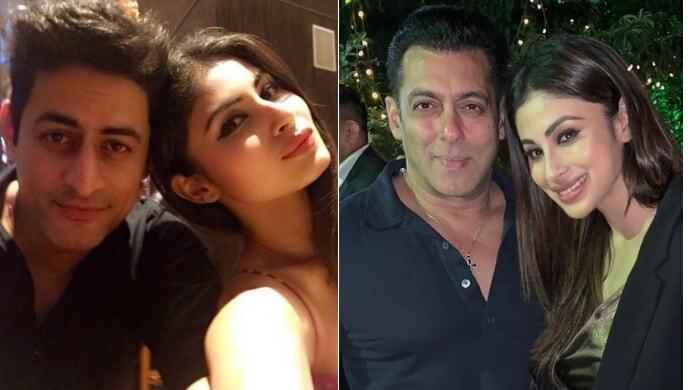 It’s no secret that television-turned-film actress Mouni Roy is a die-hard fan of superstar Salman Khan. Thus, when it came to picking an actor she wouldn’t mind doing a steamy scene with, Mouni went with Salman. The Gold star graced the first episode of new ZEE5 show – A Table for Two – with her close friend and Kumkum Bhagya actress Sriti Jha. Both Sriti and Mouni made quite many startling and juicy revelations about their career, love life, intimacy and more. 2. Mouni was further asked to pose for a selfie with the following people – her alleged ex-boyfriend Gaurav Chopraa, she said “normal” and made a smiling face. When asked to pose for a selfie with Uri: The Surgical Strike star Mohit Raina, she sort of blushed and looked happy. For those living under a rock, Mouni and Mohit have been linked together ever since they did a show together. 4. Mouni also expressed a desire to work with Sriti in a show. She told Ira that she’d love to be in a show where she and Sriti play sisters. Directors, are you listening? Besides these, a segment on the show also revealed that Mouni is more likely to slap a roadside Romeo than Sriti. She is equally likely to use her celebrity status to get off in a situation because Sriti believes without makeup nobody recognises her. Now, of course, that ain’t true, Sriti! In the meantime, watch the latest Bollywood blockbusters on ZEE5 and enjoy a fun-filled weekend with your family.